You'll love all the Healthy Buns, Pitas, and Pizza Crusts we offer at Linda's Diet Delites! If you're on a low carb diet, then walking past the bread aisle in the supermarket can be a painful thing. Now, with Linda's Diet Delites, you can put your favorite bread products back on the menu. 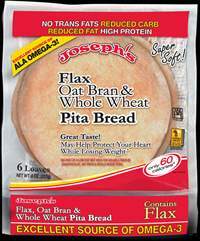 Take a look at the amazing bread products we have to offer!